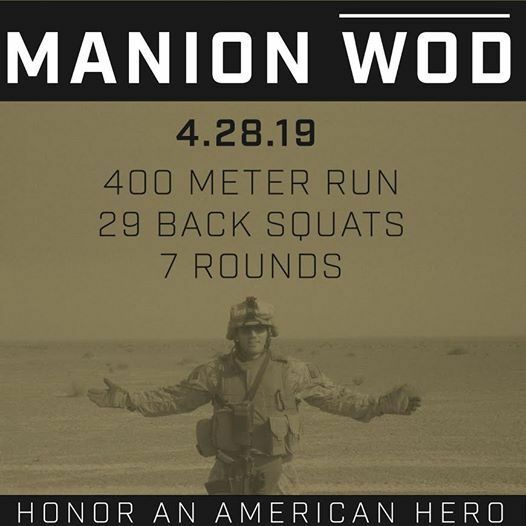 This year we will be hosting the "Manion WOD" on April 28, 2019 at 8:00 a.m. Last year was a great turn out with a ton of participation and donations of time, talent and energy. We hope to build upon this success. Feel free to participate as an individual or with a partner. 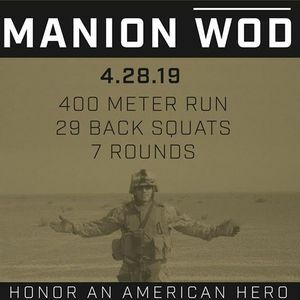 To register click the link here - https://donate.travismanion.org/event/2019-manion-wod/e220515. 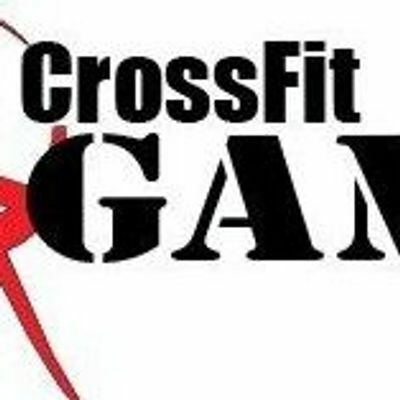 It costs $29/person to participate, and this includes the Manion WOD tee. We encourage people to sign up by April 5th to be guaranteed a tee by the day of the workout. We will be sending out a heat selection closer to the event day.